Since I have been in Kenya (which is just over a month now!) I have tried to write 4 or 5 blogs…all of them quickly get deleted because my brain is full of too many awesome things. So I have decided to focus on one of my favorite stories from the trip so far. The one about my Martin. A couple weeks later, Sierra and I were walking to meet the rest of the team at Joseph’s (one of the IDP residents & one of the most amazing men I’ve ever met) house & as we turned a corner, there he was!!!!!! Standing in the grass with his goofy little grin. I was in semi-shock and just reached my hand out and said “Martin, kuja hapa!” (come here!) and he ran right over and grabbed my hand. I really don’t think he remembered me but he is just very friendly and I’m a mzungu, & the kids love holding the white people’s hands 😛 As Si & I went into Joseph’s house with the rest of the group, Martin ran off with some other kids & I just stood there thinking, “THANK YOU JESUSSSS!! !” even three minutes of Martin time was great, just seeing that he was there & looking healthier than the last time I saw him was enough. And THEN about an hour later when we were leaving, there he was again, waiting for all of us. As we toured the IDP camps with Joseph we had a parade of about 40 children with us. I felt like we were wandering through Neverland with all of the Lost Boys. And guess who held hands with me the whole way? Martin. I think he has claimed me as “his mzungu” because he always pushes the other kids away when they come over to hold my hand or whatever & he is always glued right to my hip. I got home to Naomi’s that day and just cried out of happiness & just the overwhelming feeling that my Father totally loves the MESS out of me. 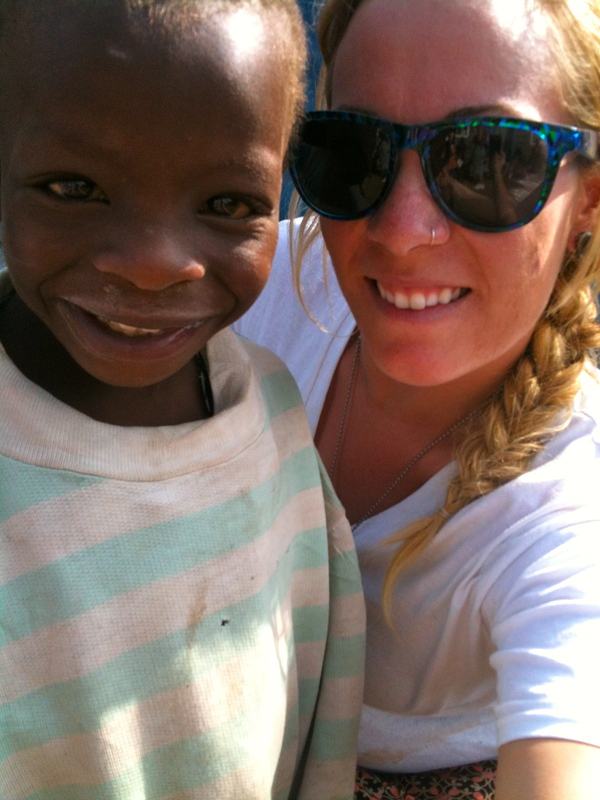 The next day we went back and I saw my little buddy again and was able to hang out with him & serve him porridge. Serving him what is probably one of the only things he has to eat or drink during the day was SO humbling and amazing and has become one of my most cherished memories of my entire existence. God totally gives us the desires of our hearts and this is just one example of that in my life. Tori, thank you for this beautiful illustration of your heart. I love you.